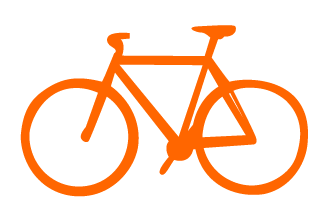 We want the benefits of cycling – improved physical health and well being, freedom of movement and general joie de vie – to be accessible to all members of our community, especially the most vulnerable and marginalised. The teaching techniques used focus on hands-on learning, guided discovery and peer-to-peer learning with the intention of developing interpersonal and cognitive skills as well as teaching fundamental physics and mechanics. Our most established Build-a-Bike programme is funded by Crisis and delivered to members of Crisis Skylight Oxford who are homeless or vulnerably housed. The members that we work with have all experienced challenges in their lives which have lead to homelessness such as mental health or addiction issues, family break down or financial hardship. Many have chaotic lifestyles and find the regularity of the Build-a-Bike class with the promise of a bike upon completion a stabilising and motivating part of their week. If you are homeless or vulnerably housed you can access our Build-a-Bike class for free by becoming a Crisis Skylight member. The Build-a-Bike format is very flexible. The level of time input from participants and the costs can be tailored to suit the needs of different groups. If you work with vulnerable members of the community who could benefit from Build-a-Bike we would love to hear from you!